Mr. Ikin is the Managing Director of Asia Pacific Aerospace Consultants (APAC), located in Sydney, Australia. APAC offers broad consulting services to the commercial space industry including market analysis, industry analysis, risk management and insurance advice. Prior to his role with APAC, Mr. Ikin worked directly in the space insurance, risk management, and commercial space fields for the past 14 years. For ten years, he worked as a space insurance underwriter at GIO in Australia and in 1998 was appointed Managing Director of the newly created GIO Space. GIO Space was one of the largest space insurance underwriters in the world with annual premium income of over A$175m (approximately US$110m at the time). After GIO, Mr. Ikin then worked as the Director of Commercial Operations at the Asia-Pacific Space Centre (APSC). At APSC, he was responsible for all aspects of its planned commercial operations with a special emphasis on risk management for the venture, which aims to introduce the Russian Aurora launch vehicle to the commercial launch market. He was directly responsible for managing the insurance requirements for both APSC and its launch customers. 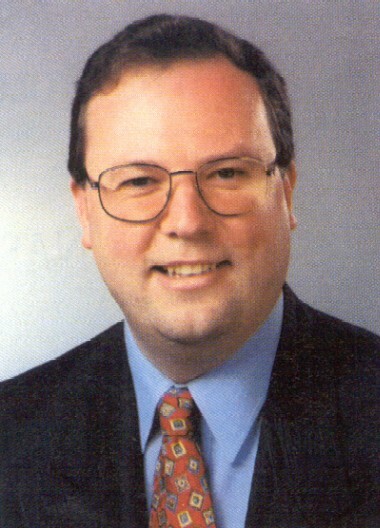 Kirby Ikin has a long and varied involvement within the Australian Space Industry and has held executive positions with various space interest groups. Currently he is the Chairman of the Board of the U.S. based, worldwide National Space Society (NSS), having succeeded Apollo 11 astronaut Buzz Aldrin in this position. Kirby Ikin’s professional career has seen him working in the areas of corporate advisory services, insurance and risk management, and commercial launch services. As an accounting professional in the late 1980’s he instigated the formation of Ernst & Young’s Space Industry Services Group in Australia. His work in this area included evaluation of opportunities to commercialise space research and provision of strategic advice to large United States aerospace corporations. Mr. Ikin presently serves as a member of the Australian Government’s “International Space Advisory Group”, which is advising the Prime Minister’s office on space policy and industry development. He also serves on the corporate boards of KITComm (Bermuda) and Australian S2COM. Through the National Space Society of Australia, Mr. Ikin instigated the establishment of the ‘Australian Space Industry Chamber of Commerce’ (ASICC), which meets regularly to discuss business, legal and commercial space related issues. He continues to serve as its Chairman as he has done since its foundation in 1992. In his capacity with the National Space Society, Kirby Ikin was Chairman of the 1st to 8th Australian Space Development Conferences. In 1990, Mr. Ikin was appointed to the NSW State Government Task Force on Aerospace, Space, and Defence Industry Development. His professional qualifications include a Bachelor of Law degree and Bachelor of Commerce degree (in accounting and financial management) from the University of New South Wales. In 1999, Kirby Ikin was the recipient of the National Space Society of Australia’s highest award, the Australian Space Pioneer Award.